Our patient initially sent photos to the office as she lived out of country. A Skype consult followed and then surgery was booked. 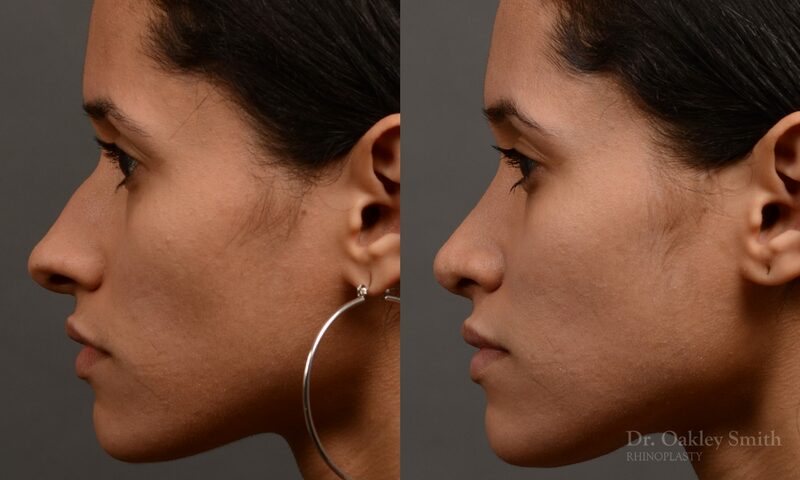 She didn’t like how far her nose protruded out. 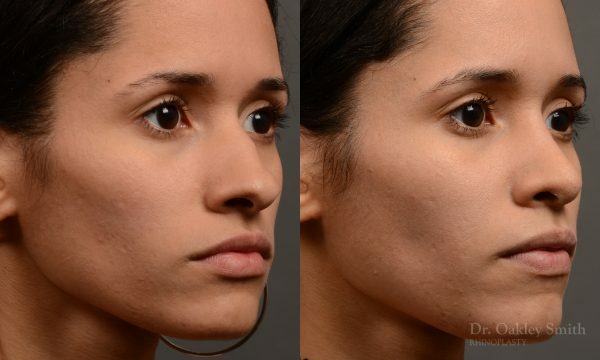 Her tip shape was also discussed along with her small bump and minor hanging of her columella (the fleshy part below the tip and between the nostrils. 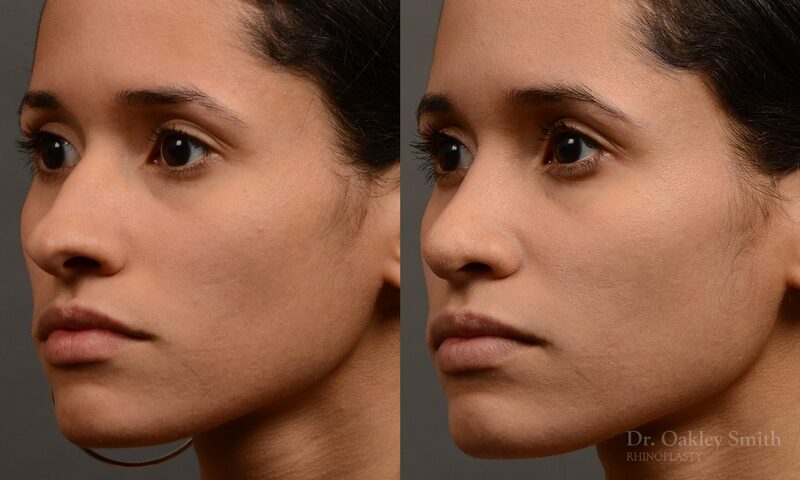 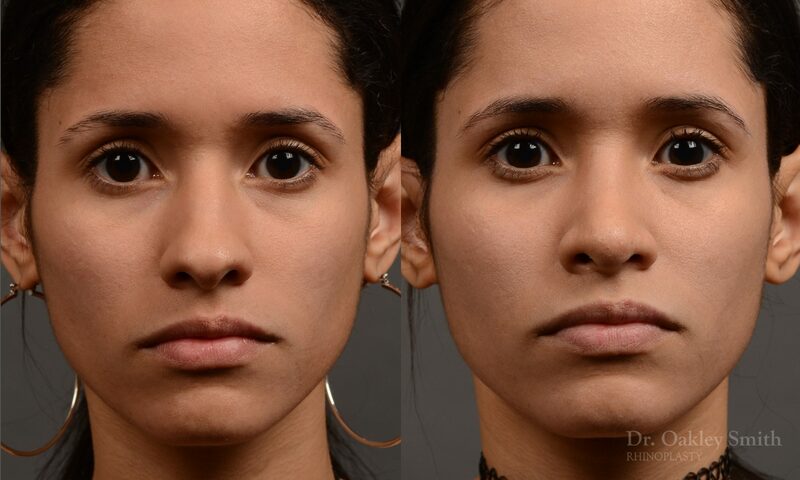 As her skin was ideal for rhinoplasty, a good reduction in size was accomplished along with improving the overall shape of her nose. 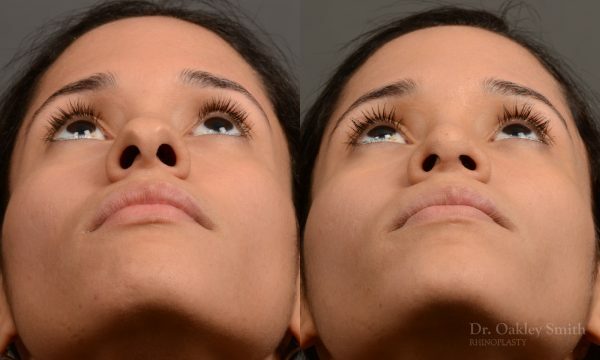 As is often the case, there was excess skin inside the nostrils after the nose was reduced towards her face. This results in more swelling inside and often congestion for many weeks following surgery until the skin can shrink to suit the small nostrils. 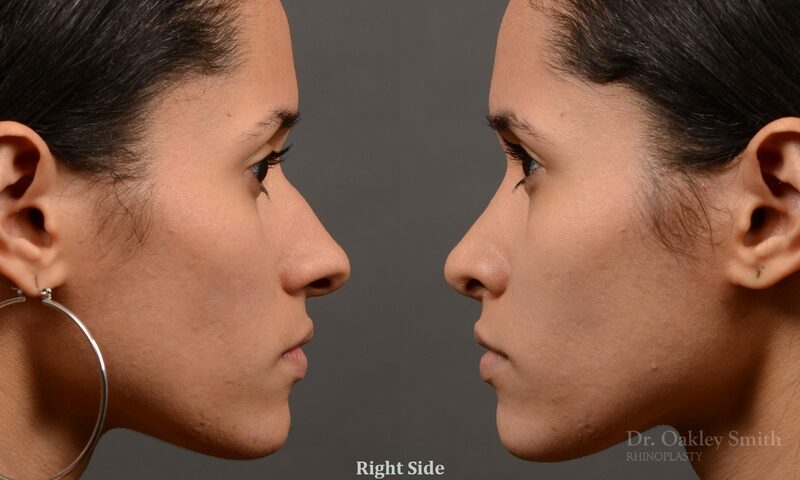 These before and after photos show a typical result by the rhinoplasty surgeon Dr Oakley Smith from Toronto.